Kung-fu is one of the oldest traditional sports that originated from Asia. It became popular in Nigeria when their highly entertaining action and comedy movies flooded our local TV. Stars like Bruce Lee, Jackie Chan and more recently, Jet Li became idols and their photos adorned the walls of the bedrooms of many kids. Those kids of yesteryears have become men and apparently some of them never “recovered” from the love of kung-fu. 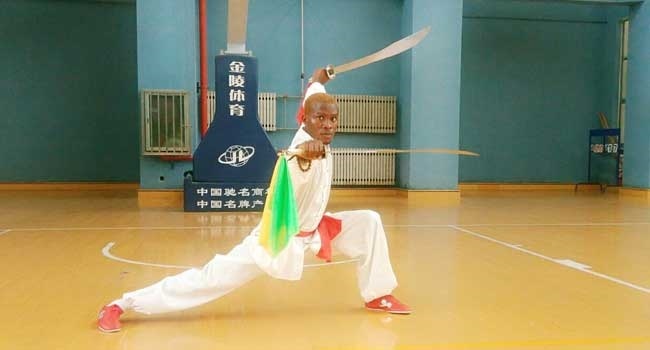 So, we can understand why Kung-fu has now grown into a major sport in Nigeria. They even have an association called the Nigeria Wushu Kung-fu Federation (NWKF) and a new president has just emerged. He is Adekunle Adewumi and he says the federation would work hard to take the Sport to a higher level. “As the elected President of the Wushu Kung-fu Federation, I want to make sure that Kung-fu is well known in Nigeria. “Presently, I will rate the game of Kung-fu below 10 per cent but I want to make sure that we take it to 75 per cent within the next one year. “We will create a team that will work fast in terms of publicity, sponsorship and training,” he said. The president said the federation needs support from the Ministry of Youth and Sports and corporate bodies to promote the game in the country. “We hope to have enough cooperation from the ministry of Sports. We have potential sponsors in Nigeria that will help us to take Kung-fu to the next level. “Taekwondo, Karate, Judo are well known and they are International sports at the level of Olympics , Kung-fu will also be at this level if we apply the right approach to the game,” he said.